This gorgeous pendant is absolutely distinctive in each and every way! 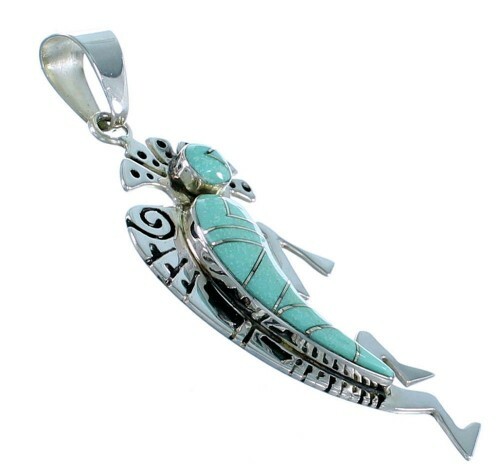 The pendant is crafted out of genuine sterling silver and real Turquoise inlay. 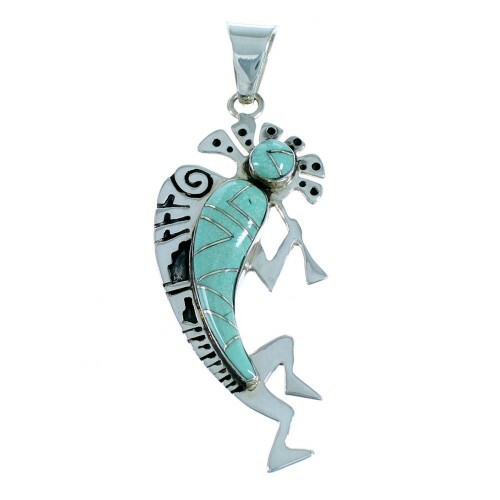 The inlay is carefully placed in a silver bezel setting, while cut through work can be seen creating a fabulous Kokopelli design for a wonderful finish. The Kokopelli is a common fertility symbol throughout the Southwest. 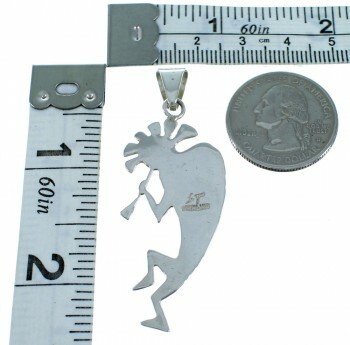 In some beliefs, the Kokopelli visits various communities, seducing and impregnating the young women drawn to the tones of his flute playing. Pendant is stamped sterling and hallmarked.